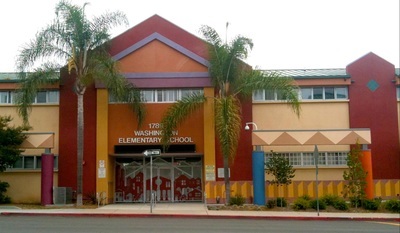 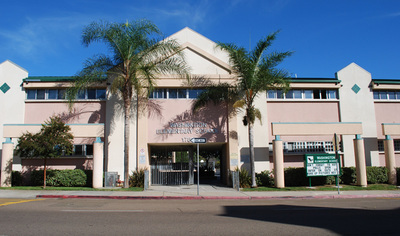 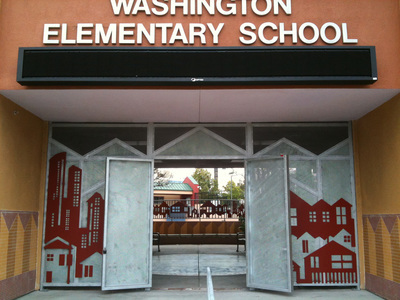 Washington Elementary School new entry, office and facade completed 2011. 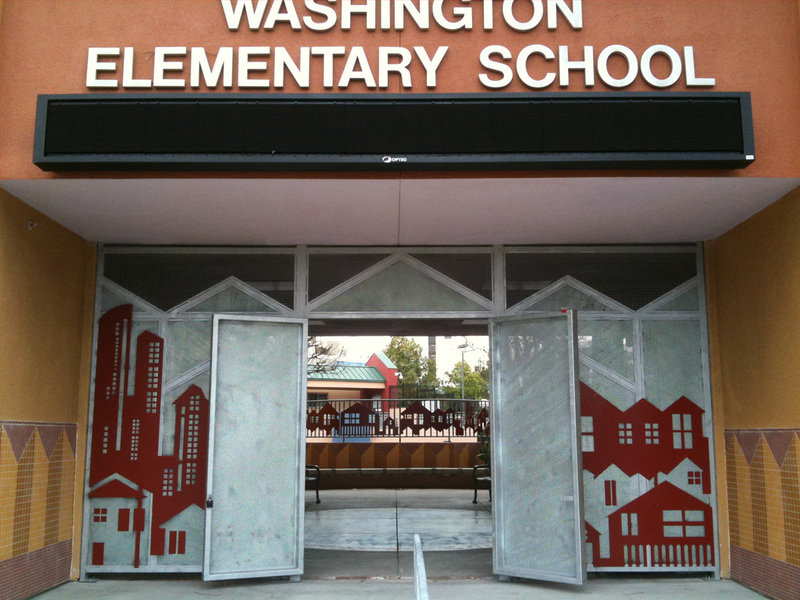 Front entry gates, foyer and facade were redesigned with input from school staff, 3rd grade classes and the local business improvement association. 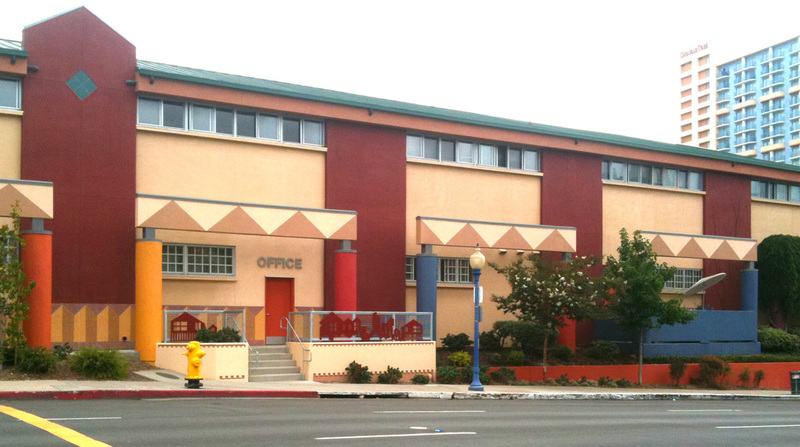 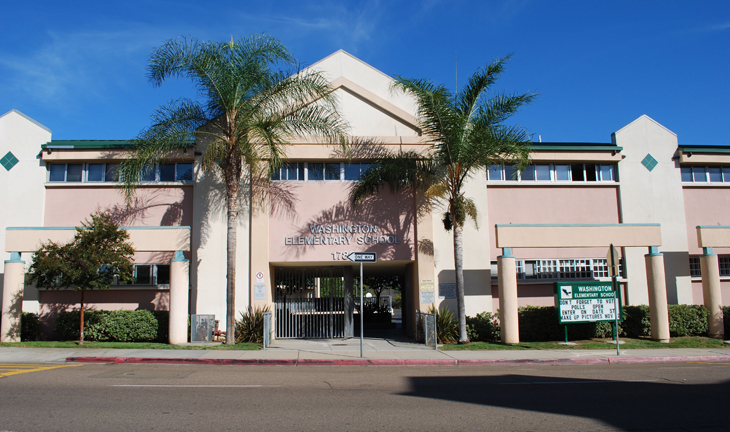 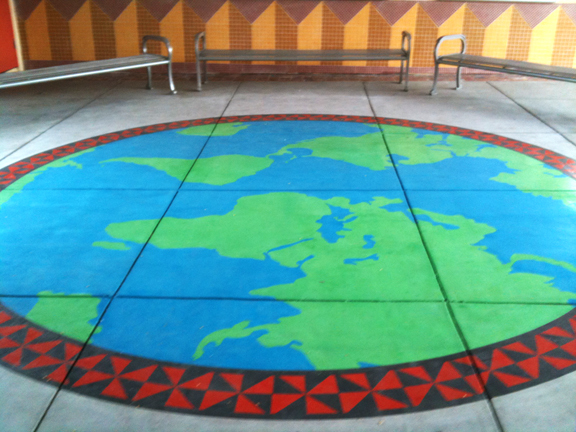 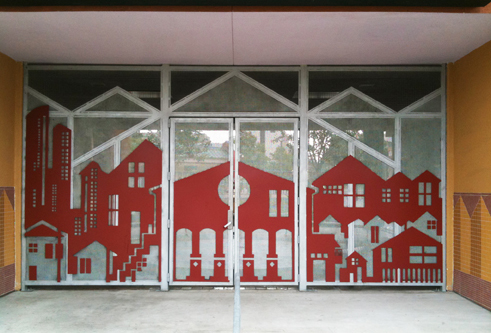 The school wanted a more welcoming and exciting looking environment that reflected the culture and urban neighborhood of downtown San Diego.